WINONA, Minn. — Come celebrate Christmas with the Saint Mary’s University Concert Band on Sunday, Dec. 9, at 4 p.m. in Page Theatre. The performance will feature both meditative and joyous selections composed for the holiday season, including a delightful setting of the “Ukrainian Bell Carol,” a unique medley of familiar holiday tunes titled, “Minor Alterations: Through the Looking Glass.” Audiences will enjoy beautiful settings of “O Come, O Come Emmanuel” and “Jesus, Jesus, Rest Your head,” and two sleigh rides will round out the performance. Following the concert, a festive cookie reception will be held in the Ben Miller Lobby. Delight in home-baked holiday treats while enjoying the sounds of small ensembles, including a woodwind quintet as well as flute, clarinet, saxophone, trumpet, and trombone musicians, performing from the balcony. 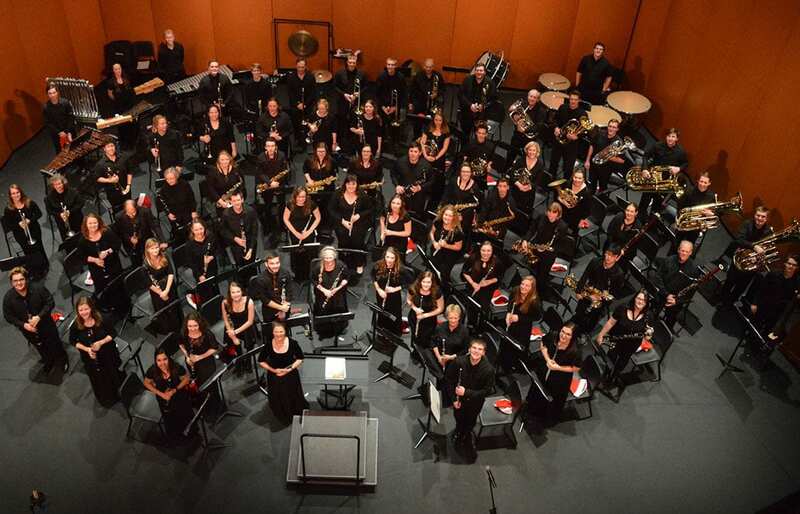 Under the direction of Dr. Janet Heukeshoven, the Saint Mary’s Concert Band welcomes musicians from campus and from the community who enjoy performing in both large and small ensembles. Second semester rehearsals will begin on Jan. 14 and are held on Monday and Wednesday evenings during the academic year. For membership information, contact Heukeshoven at jheukesh@smumn.edu. Tickets for this performance are $10 for adults and $5 for students and seniors and are available by calling the Saint Mary’s Box Office at 507-457-1715 from noon to 6 p.m. Monday through Friday or by purchasing online at pagetheatre.org. The Concert Band is one of 11 ensembles at Saint Mary’s University. The Music Department offers degrees in music education, music industry, and music performance designed for today’s musicians. Generous performance-based music scholarships are available to student musicians of any major. Visit smumn.edu/music for information.